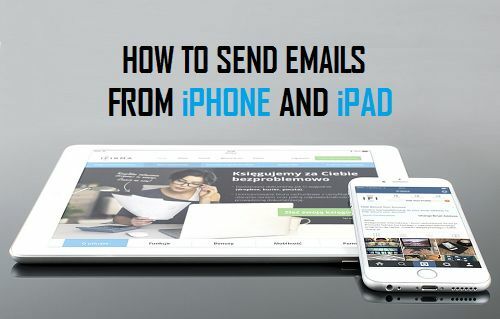 Are you wondering How to send an email from your iPhone or iPad? Although this sounds elementary, it is not uncommon to look for this information, especially when you are a new iPhone user or you have just switched from Android to iPhone. Sending an email from your iPhone for the first time involves the following steps, you will find these broad steps further broken down into detailed steps later on in this post. In order to be able to send emails from your iPhone, you need to first add your email account (or accounts) to your iPhone’s mail app. You can add any of your email accounts to iPhone by following these steps. 1.1. Power on your iPhone and unlock it. 1.2. From the home screen tap on Settings. 1.3. Next Tap on Mail, Contacts, and Calendar. 1.4. On the next screen you will now see the Accounts section of Mail, Contacts and Calendar. iPhone allows you to use any email client or account type that you would like to use. 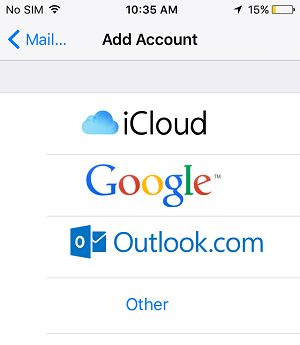 You can use iCloud account or use Gmail, Outlook or any other type of email account. 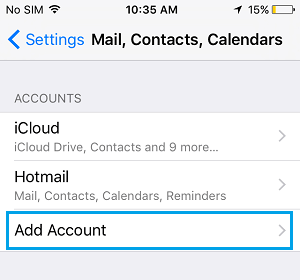 With these steps you have just added your email account to your iPhone and you are all set to send your first email. 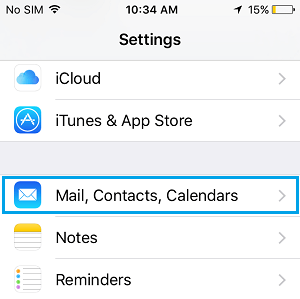 Now that you have added your email account to iPhone, you can start composing your first email from your iPhone by following these steps. 2.2. From the home screen tap on the Mail app. Composing an email using the New Message Interface is quite easy. Tap on the To section to enter the recipients email address, Add CC/BCC. Next tap the subject line field and type the subject line for this email. 2.5. Finally tap on the message box (Area below the subject line) and type your message. Now that you have the email ready, you can attach files, images or Videos to your email message. For more information on this you can refer to the following tutorial. How to attach Files and Pictures to Emails on iPhone. 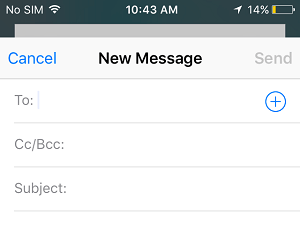 Before tapping on the Send button, it is a good practice to review your email message and add contacts as CC or BCC recipients. In case of a change of mind or an error, you can easily change contacts position from CC to BCC and vice versa. All that you need to do is tap on a particular Email ID and drag it to the field of Carbon Copy (CC) or Blind Carbon Copy (BCC). When everything appears in order, just hit the send button to send the email to all the recipients.